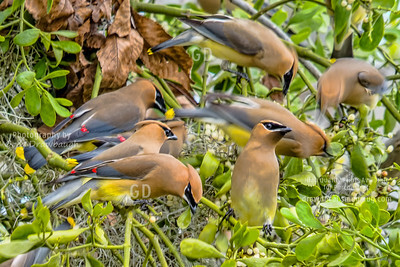 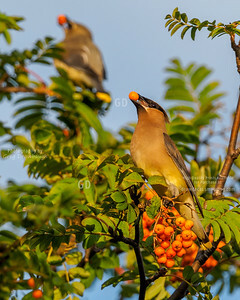 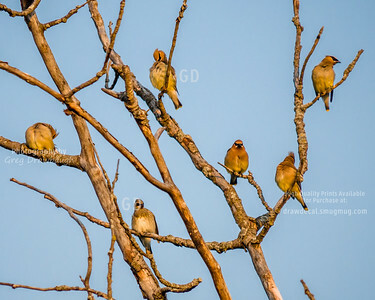 I found a large flock of Cedar Waxwings in The Villages this afternoon seen here voraciously obtaining their meal. 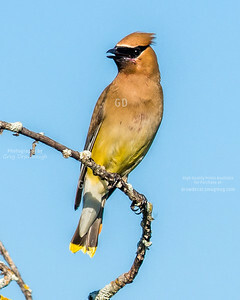 I am a fluffed up Cedar Waxwing, note the wax red tips on my wings and yellow tip on my tail. 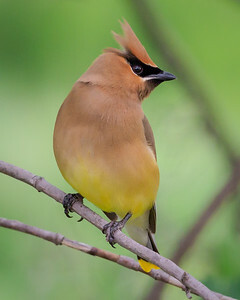 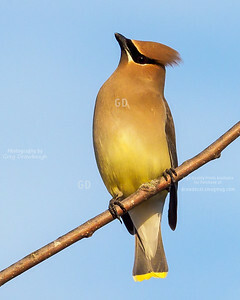 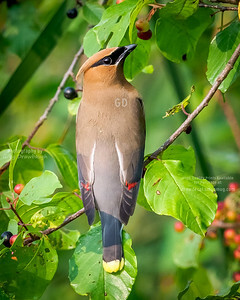 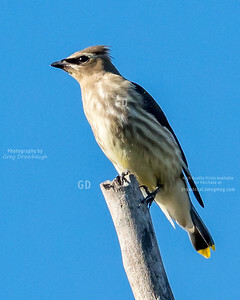 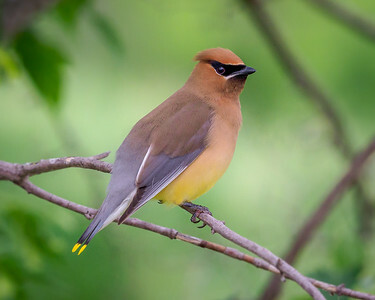 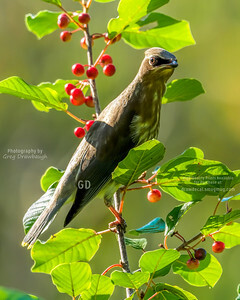 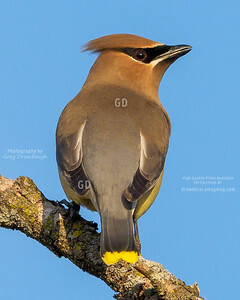 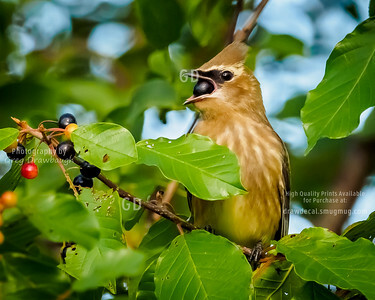 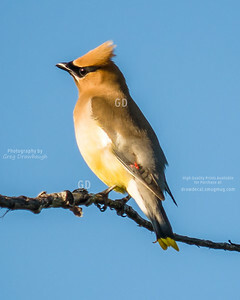 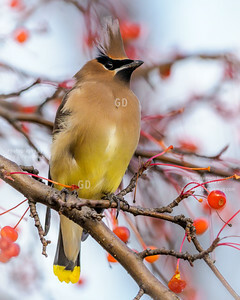 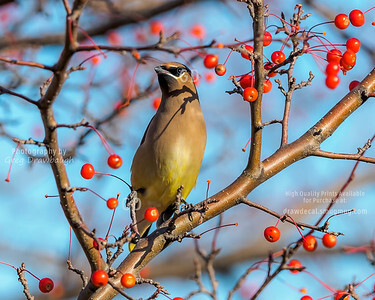 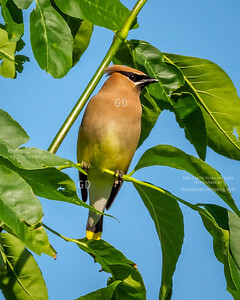 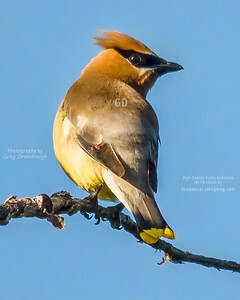 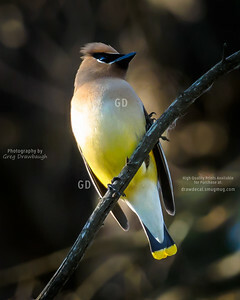 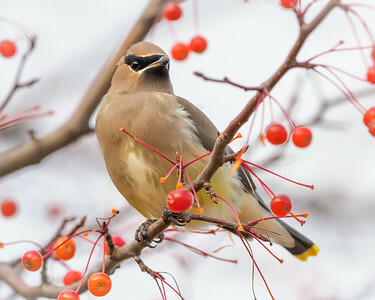 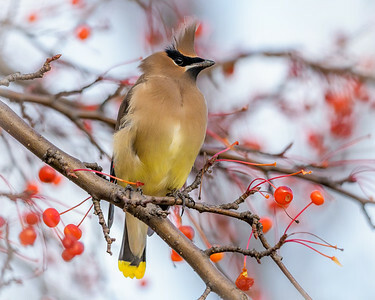 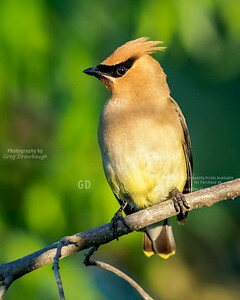 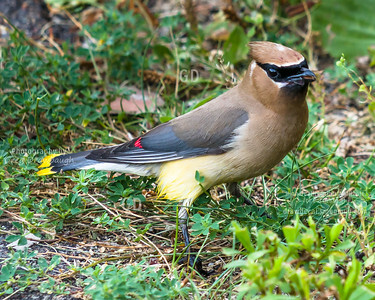 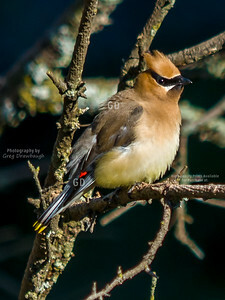 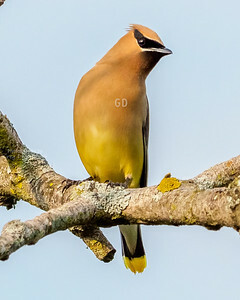 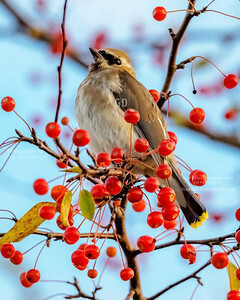 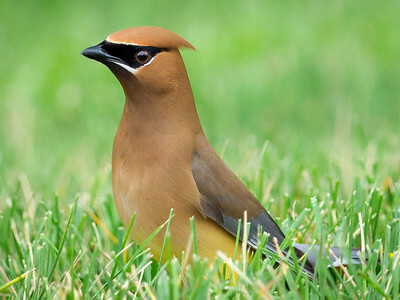 I am called a Cedar Waxwing because of the red tips on my wings and yellow tip on my tail that look like they have been dipped in wax. 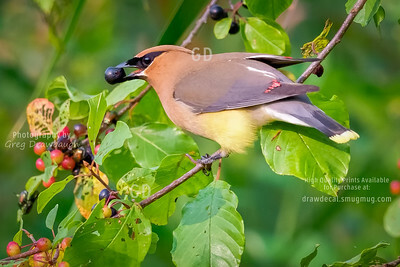 I live near Sucker Lake in Vadnais Heights, MN and am seen here enjoying a tasty insect treat for my breakfast.